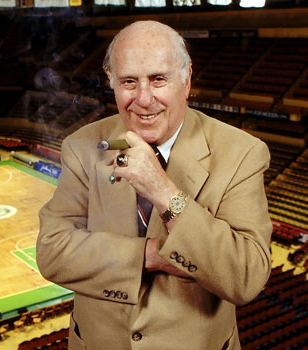 Red Auerbach was the winningest coach in MBA history with 958 wins. Born in Brooklyn, New York, basketball coach Arnold "Red" Auerbach's small stature does not affect its reputation as one of the most revered coaches in basketball history. In 1946 Red coached the Washington Capitols of the new Basketball Association of America to 123 victories. However, he is best known for his success with the Boston Celtics. 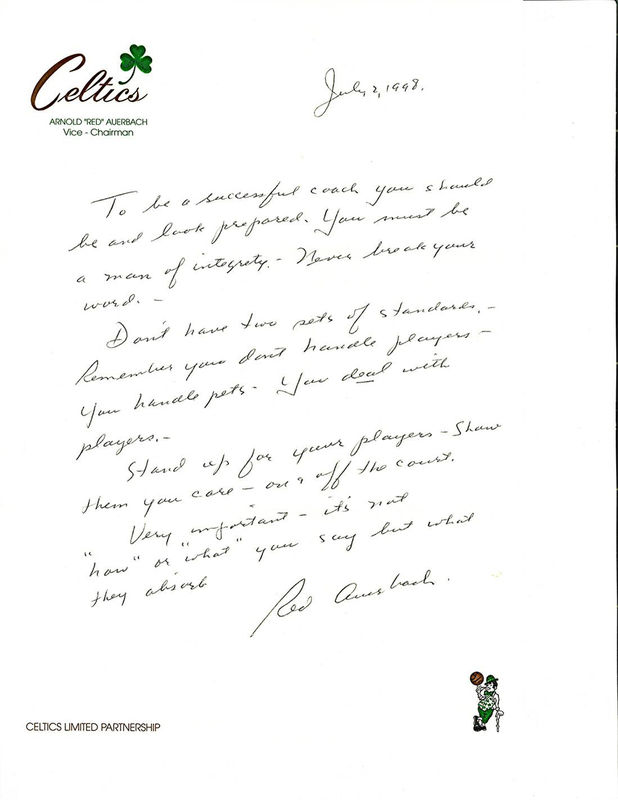 Under Red's guidance the Celtics won nine NBA championships. He retires as a coach in 1966 but stayed on with the Celtics first as manager until 1984. During his eighteen years as general manager, the Celtics won sixteen NBA titles. Retiring as GM in 1984, Red became president of the Boston Celtics. He is a member of the Basketball Hall of Fame. "To be a successful coach you should be and look prepared. You must be a man of integrity. Never break your word. Don't have two sets of standards.Remember you don't handle players-you handle pets. You deal with players. Stand up for your players. Show them you care- on & off court. Very important- it's not "how" or "what" you say but what they absorb."